Ford SA told the Committee that an increase in engine compartment fires on the Ford Kuga 1.6 litre model was reported in January 2016. A maintenance check was initiated in December 2016 with more than 1 000 Kugas inspected and a definitive cause was established. A safety recall of 4 556 Kugas was initiated on 16 January 2017. To date 3 200 Kugas had been checked. 2 700 Kugas were serviced and returned to owners. 73% of vehicles fixed or in process of being serviced. 1 300 Kugas remained in the market. 359 customers had taken advantage of trade-in assistance. The Motor Industry Ombudsman of South Africa (MIOSA) explained that its role in the event of automotive product recall was to assist and advise the National Consumer Commission (NCC) on technical matters, at the request of all parties involved. It would make recommendations to the parties involved. During recall, advice was provided to consumers through the MIOSA information and liaison centre about recall procedures determined by the parties. MIOSA had to independently observe the recall process to ensure that protocol and equity were maintained. The National Consumer Commission (NCC) said that it became aware of alleged fires involving the Kuga via various media platforms. The NCC convened an urgent meeting with Ford SA on 14 December 2016. The NRCS and MIOSA were also invited. The NCC asked for an investigation by Ford to determine the cause, with a report to be submitted by end of February 2017. Ford was directed to roll out a safety check and maintenance programme. Between 20 December 2016 and 16 January 2017, 1 553 vehicles went through safety checks. Incidents escalated during the December holidays, hence the NCC convened an urgent meeting to instruct Ford to proceed with a recall. However, Ford announced at the meeting that it would voluntarily issue a recall. There was a joint press release on 16 January 2017. A progress report on 1 February 2017 indicated that there were 4 556 affected vehicles. A report on 2 March 2017 showed that 2 744 units had been rectified. 493 vehicles awaited refitting, and 600 still had to be traced. By 8 February 2017, 45 complaints had been received from customers. The NCC convened a steering committee which recommended that Ford SA be investigated for alleged contravention of the Consumer Protection Act. In discussion Ford SA, as well as the regulators, had to face severe criticism. Both Ford SA and the regulators, especially the NCC, were challenged about the lateness of the recall intervention, which was insensitive to consumer safety needs, and a lack of due diligence. Ford came under fire for not taking South African conditions such as climate and motorist behaviour into account. Ford did not reckon with the fact that South Africans used water as coolant and not the water/chemical mix used by the Kuga. The NCC was taken to task for its failure to keep abreast of and respond to media reports. The Committee was not willing to accept the explanation by the NCC and MIOSA that it had not acted sooner because there had been no complaints. MIOSA was told that it did not receive complaints because people did not know that it existed. MIOSA was instructed to improve social media tracking and to promote public awareness. Ford was asked about compensation for owners, increased insurance premiums for this car, and the present and future value of the Kuga. Ford was also confronted about its insensitivity towards the death of Mr Reshall Jimmy. Ford was asked what it would do differently to restore trust. The Chairperson said that the Committee needed to scrutinise the regulations and guidelines of the Consumer Protection Act and the Act itself as the recall process was too slow. The NCC guidelines could not compelling. The Chairperson concluded that Ford had to better adjust its policy and practices to the South African environment. Ford and the regulators had to keep abreast of social media and promote consumer awareness. The Chairperson introduced the Ford SA team and remarked that there was only one woman in the lineup of seven delegates. She also introduced MIOSA, the NCC and the NRCS. She suggested that all inputs be made before Members made comments. Some issues had legal implications. 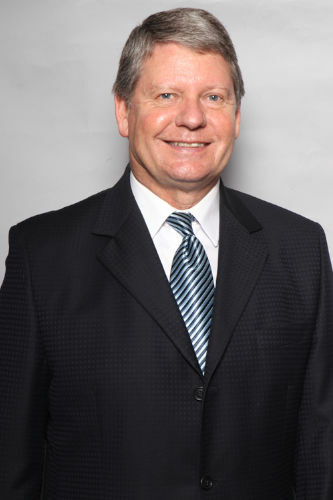 The status report was presented by Mr Jeff Nemeth: President and CEO of Ford Motor Company of Southern Africa. The Kuga was built in Spain and introduced to SA in 2013. Increased engine compartment fires were reported in January 2016. In December 2016, a maintenance check was initiated. More than 1 000 Kugas were inspected, which yielded the data needed for Ford to establish a definitive cause. A safety recall was initiated on 16 January 2017. 4 556 1.6 litre Kugas were recalled. To date 3 200 Kugas have been checked. 2 700 Kugas have been serviced and returned to owners. 73 percent of vehicles were fixed or in the process of being serviced. 1 300 Kugas remained in the market. 359 customers had taken advantage of trade-in assistance. Mr Johan van Vreden, the Motor Industry Ombudsman of South Africa, set out MIOSA’s role in automotive product recall. He explained that its role in the event of automotive product recall was to assist and advise the National Consumer Commission (NCC) on technical matters. It would make recommendations on such product recalls to all the parties involved. Once the product recall had been instituted, advice was provided to consumers through the MIOSA information and liaison centre about recall procedures determined by the parties. MIOSA had to independently observe the recall process to ensure that protocol and equity were maintained. Mr Ebrahim Mohamed, NCC Commissioner, said the mandate of the NCC on product safety was derived from section 60 of the Consumer Protection Act. The NCC could force a producer or importer to conduct an investigation or to recall a product if there were grounds to believe that any goods might be unsafe. The NCC became aware of alleged fires involving the Ford Kuga 1.6 litre, via various media platforms. Though there was as yet no consumer complaints, the NCC convened an urgent meeting with Ford SA on 14 December 2016. The National Regulator for Compulsory Specifications (NRCS) and MIOSA were also invited to the meeting. The NCC asked for an investigation by Ford to determine the root cause, with a report to be furnished by the end of February 2017. The NCC directed Ford to roll out a safety check and maintenance programme at no risk to consumers. Between 20 December 2016 and 16 January 2017, 1553 vehicles went through the safety check. Incidents escalated during the December holidays. The NCC convened an urgent meeting to instruct Ford to recall the Kuga models. However, Ford informed the NCC that it would voluntarily recall the product. A joint press release was issued on 16 January 2017. A progress report on 1 February 2017 indicated that there were 4 556 affected vehicles. A report on 2 March 2017 showed that 2 744 units had been rectified. 493 vehicles awaited refitting, and 600 still had to be traced. By 8 February 2017, 45 complaints had been received from customers. The NCC convened a steering committee which recommended that Ford SA be investigated for alleged contravention of the Consumer Protection Act. The Chairperson asked the Parliamentary Legal Adviser if she wanted to comment but Ms van der Merwe, Legal Adviser, declined to comment. The Chairperson asked the NRCS for comment. Mr Edward Mamadise, Acting NRCS CEO, replied that the NRCS had conducted an inspection. It was impossible to regulate every component in a vehicle. The compulsory specifications currently did not cover requirements for engine cooling systems. The NRCS had to conduct risk assessment and feasibility studies to explore the possibility of additional areas of regulation within the motor vehicle components system. The Chairperson said that she had heard from others involved that the NRCS had a regulatory mandate to protect consumers. Ms P Mantashe (ANC) asked Ford to explain the difference between incidents occurring in the USA and South Africa. She asked if it was considered that South Africa had a different climate. There was gross negligence on the part of Ford. Mr A Williams (ANC) remarked that he was concerned that the repairs done in phase 2 only put a band aid on a design flaw. There was a design flaw that prevented the cooling system from working in hot environments. Temperature should have been a major concern. South African cars used water as coolant. Future designs had to keep that into account. He asked what responsibility Ford was prepared to take, especially with regard to compensation for owners of burnt cars. Mr B Mkongi (ANC) remarked that the first line of argument had to be the protection of the lives of ordinary South Africans. Not a single person who was at fault had been pointed out. It ought not to be necessary to wait for death to occur before people opened their eyes. He asked why intervention did not occur immediately when the flaw became evident. The safety of ordinary South Africans was at stake. The late intervention did not take human lives into consideration. There was a lack of due diligence. More people could have died. He asked what the intervention strategy would be if something similar happened in New Zealand. There was swift intervention in a number of incidents in other countries. South Africa had to be taken seriously. Ms Van Schalkwyk (ANC) asked if Ford had a plan to get hold of the as yet unchecked vehicles. She asked how many burnt-out vehicles had been replaced. She asked MIOSA how many complaints there had been about the Ford Kuga and what was done about that. She read in an article the day before that 800 Kuga SUVs have now been recalled for a brake issue. There had to be a comparison with Ford brands in other countries. Mr N Koornhof (ANC) remarked that it was unfortunate that it happened to Ford. Not even Chevrolet would wish such bad luck on them. The Ford Motor Company was a good one. Whether problems could be overcome depended on leadership. He asked the NCC if it was happy that Ford had acted fairly and responsibly. He asked MIOSA about insurance premium complaints where some companies had put a surcharge on premiums. Mr G Hill-Lewis (DA) remarked that Ford was in a crisis of communication. There had to be transparent and frank communication. What was critical was the length of time it took to openly and frankly engage with the public. It was currently being done but it was not speedy enough. Problems were first noticed in late 2015, then at the beginning of 2016, and then there was the spike late in 2016. He asked what caused the delay that lasted 12 months. He asked NCC why it had taken so long to pick up on the outcry in the social media. Adv A Alberts (FF+) asked if there had been investigations to check on other Ford models. It was reported in the social media that other Ford models had also burnt out. He asked NCC about the steering committee process after 45 complaints were received. How quickly was information on the complaints dealt with? Mr D Macpherson (DA) remarked that trust was everything, and the Ford Motor Company had lost that trust. The question was how Ford was going to rebuild and project itself. It was essential to be upright and honest. It might be so that the death of Mr Jimmy was a separate event, but the problem lay in the way the death was handled. A young man died in December 2015, and no one took responsibility. SAPS and technical people investigated, yet the family languished in pain; it was not being addressed. He was concerned about the lack of willingness to close the issue 15 months after his death occurred. There had to be a resolve to regain trust. It was not to be covered up in the minds of South Africans. Trust in the regulators was also lost. The NCC was slow to act. It was noted that there was an upcoming holiday. The Commissioner could have cancelled his holiday and held a press conference in December. The regulator was not to be allowed to run away from the problem. South Africa was deserted by the regulator. Ford had to examine its conduct. The Chairperson remarked to the NCC that one could drive a bus through the general guidelines to facilitate recalls of unsafe goods. The NCC mandate was derived from section 60 of the Consumer Protection Act of 2008. It was an Act from this Portfolio Committee. Challenges had become evident as the Act became operative. In the case of the Ford Kuga, there was urgency attached to the need to recall. She asked if the NCC would wait for a bridge to collapse before adequate measures were taken. Risk could be minimised through constant engagements. The current approach was not adequate. People’s lives are at stake. There was a lesson in it for the regulators. The relevant Portfolio Committees had to review the Act's regulations. She told the Ombudsman that she was wary of industry funded ombuds. Sometimes it served the purpose well but often there were not sufficient funds. If no-one was pro-active in a situation like the current one it could create problems. Industry and the Ombud and the NCC had to cooperate. The NRCS had stated that compulsory specifications did not cover requirements for the engine cooling system. Lessons could be learnt from the aircraft industry when it came to looking at components. Mr Nemeth replied with reference to what had happened in Europe in 2008, as compared to South Africa. Generally Ford reacted quickly when there was a need to recall. Mr Mark Galvin, Critical Concern Manager, Ford of Europe, added that there had been recalls in Europe, related to heated water jets. There were process issues. Information was shared globally. Mr George Goddu, Director: Ford Customer Service Division, Middle East and Africa, replied that problems had occurred in North America, early in the life cycle. There was a track record of degradation over the years. The challenge was to ensure that the right data was obtained, to understand what was going on. Data was obtained earlier in other countries, for quicker resolution. Data obtained in the USA could have no effect in SA, and vice versa as these were different issues. In SA, the data was not consistent and conclusive. Ford became pro-active with the NCC in December 2016. The default had to be communicated to consumers. Mr Nemeth replied about the management of the design process to meet SA driving styles and expectations. The Ranger that Ford built was exported to 140 countries. There were different design versions. Calibrations were made to suit the 140 countries. What was changed most often was the information software design on vehicles. On water versus coolant, Mr Nemeth replied that the vehicles were designed to be topped up with coolants. On insurance for the recalled vehicles, Ford had a responsibility to customers and wanted to be there for them. Ford was not an insurance company. It could have listened more to customers and could have been more helpful. Some motorists did not have motor finance and consequently no insurance. Ford provided transportation. It was an ongoing process. Mr Shibishi Maruatona, General Counsel: Ford Motor Company of Southern Africa, added that insurance matters were related to insurance claims. Ford would help consumers not lose their assets. He replied to Mr Macpherson on whether the treatment of the Jimmy death was insensitive, and whether Ford failed to address the matter. When news of the death was received, Ford sent investigators, together with the South African Police Service. When SAPS was asked for other reports, it came to a dead end. The investigation was in January 2016, and the vehicle was only given to Ford to inspect 12 months later. There was an urgent court application to obtain data. Ford was still at loggerheads with SAPS. Ford wanted post mortem reports to help it get to the bottom of the case. SA was a constitutional democracy, where the law had to take its course. The Chairperson asked if insurance premiums had been raised for this model. Mr Nemeth replied that insurance rates were tracked. Ford had seen no evidence of raised premiums. Mr Mohamed, NCC Commissioner, replied that the two main issues were related to questions posed by Members Koornhof, Macpherson and Hill-Lewis. The steering committee would sit and make recommendations to investigate Ford South Africa. With regard to the 140 complaints against Ford, he said that it was unfair to discuss allegations until Ford had been given a chance to respond. It was the legal rule that dictated that the other side had to be heard first. The NCC could not discuss allegations. On the lack of trust in regulators, he said that the NCC became aware of the situation in December, not as a result of complaints, but through incidents reported on various media platforms. An urgent meeting with Ford SA was sought. At the time of the meeting, Ford SA did not yet know the cause of the combustion. A minimum amount of vehicles had caught fire. Ford agreed to mechanical checks. It had a plan, and asked until the end of March for a report to the NCC. The NCC wanted the matter to be dealt with urgently and gave until the end of February. The NCC agreed that it would not be useful to start a recall without the cause of the fires being known. He as Commissioner wanted recall because of the number of incidents reported, although as yet no complaints had been received. At a meeting where he intended to compel Ford to recall, Ford brought an intention to recall of its own accord. He had stated in a meeting on the 15 December that the recall had to proceed. Ford had to coordinate its decisions with Detroit. Ms Thezi Mabuza, NCC Deputy Commissioner, replied that recall was not governed by regulations, but by guidelines. Weaknesses could be seen during implementation. Guidelines for recall had to be included in regulations. With regard to recall, the law stated that the onus was on the manufacturer. The NCC had asked the Ombudsman what could be done. The Chairperson noted that page 5 of the NCC presentation stated that the NCC could force a producer or importer to conduct an investigation or to recall a product on any terms required by the NCC if there were grounds to believe that goods might be unsafe. That language did not sound right, considering that the NCC was in fact saying that it could not do so. Ms Mabuza replied that it was as yet only a guideline. It had to be made into a regulation. Mr Mamadise, Acting NRCS CEO, replied about negligence. The NRCS purpose was to see to compliance with component specifications. In the case of Ford Kuga it could not be known if there was compliance with compulsory specifications. When components were regulated, the principle was to analyse risks related to the product. Cooling was not a problem in SA. All vehicles had to use coolants, and in SA water was used. There were no issues related to the use of coolants, besides Ford. The Chairperson told Ford that she understood that Ford cars needed more than water for a coolant. Mr Galvin replied that it was predominantly water. A chemical was added to prevent freezing. The Ford manual prescribed a 50/50 mix of water and the chemical. The Chairperson said that water was generally used in SA, not a 50/50 mixture of water and chemical. Mr van Vreden replied that the Ombudsman position was a thankless one. It had to be independent and objective, and could only react to complaints. MIOSA had not as yet received a single coolant complaint. The type of coolant required was specified in every owner’s manual. South Africans had to be encouraged to read owner’s manuals. It was not done. There was a difference between safety and service recalls. Service recalls could be dealt with at service centres. Safety recalls had to be pro-active. There had to be advertising, and regulators had to be told. Burning cars made dramatic footage, but there were other safety features that could have more serious consequences, such as failing brakes. The Ombud responded to specific complaints. There were a number of service recalls for vehicles other than the Kuga 1.6 litre. An airbag problem on the 2 litre Kuga diesel was addressed by the manufacturers. The Chairperson noted that the manual had to be consulted to see what kind of coolant was required. But service stations also had to be informed. It had to be public knowledge. South Africans knew, for instance, that one had to put battery water into a car battery. Consumers did not know about the Kuga coolant mix, and there had been no media reports on that. Mr Macpherson told NCC Commissioner that he had to be blunt with him. He had lost faith in the NCC. Mr Mohamed had stated that the NCC first became aware of the problem in December 2016. He asked how it was possible not to know, after coverage in the press, TV and social media. Still the NCC was blaming the consumer for not approaching it. It said no complaints had been received at the time, but that was not good enough. The NCC had lost the trust of South Africans. The Ombudsman also stated that no complaints had been received. The reason the Ombudsman did not receive complaints was because people did not know about the Ombud. The issue of public awareness had to be addressed. It was mentioned in a Newsweek article that there were forensic reports related to the death of Mr Jimmy, by SAPS and an insurance company and by a fire expert, Mr Anthony Young, retained by Ford. Both reports referred to electrical fire. Ford disagreed, saying that it saw the car in December 2016 but Mr Young had seen the car 11 months prior to that. Ford refused to see the face of human tragedy. There was no real willingness to close the matter. It was said that SA was a constitutional democracy that had to rely on the courts. Ford did not want to be transparent about electrical fire, saying that all Kuga fires started in the engine. If closure was brought to South Africans, the furore would die down. Mr D America (DA) observed that the NCC reported that it had met with Ford on 14 December 2016. At that stage the cause of the fire was unknown. As from 20 December 2016, 1 553 vehicles went through maintenance checks. The recall was communicated to owners on 16 January 2017. Steps taken suggest that the 1 553 vehicles recalled were not fitted with modifications. People voluntarily submitted their vehicles, only to learn two months later that it had not been refitted. The Kuga reputation suffered. 52 Kuga owners were directly affected. The majority were innocent bystanders. Present and future values of vehicles were affected. Ford had said that there was a premium care plan for owners who wanted to trade in their vehicles. He asked about compensation for innocent owners who had been negatively affected. Mr Williams remarked that it was not helpful to insist that people read manuals, in South Africa. Unless explicitly told otherwise, people would assume that the coolant had to be water. Nobody read manuals. Ford was currently not being seen in a favourable light. There had been a warning letter about brakes and airbags on the 2 litre Kuga. The question was what the Ford CEO was going to say to reassure SA that it would not happen again. The fact that there were no deaths was fantastic, but it had nothing to do with Ford. It was due to a series of coincidental factors. It was to be hoped that Ford would not proceed with business as usual and wait to see what happened. It was a serious problem and Ford had to say what it was going to do differently. Mr Mkongi said that it was important that Ford had to address the nation about Mr Jimmy. Complaints would have been handled differently in the USA or the UK. He endorsed what Mr Macpherson had said about the death of Mr Jimmy. It had to be taken seriously, as Mr Jimmy was a black South African. It had to be addressed. He asked what government had done since 2015, in particular the NCC. He appealed for a pro-active government response to people on the ground. There had to be a response to war cries on the ground. Regulations needed to be looked at. On recall guidelines, he noted that Eskom had dealt rapidly with the issue of generators. People did not have to die. Manuals were not written in the language of the people. Ms Van Schalkwyk noted that foreign countries tested cars in South Africa. She asked if Ford Kuga had been properly tested in South Africa, and if so, if problems had surfaced during the testing phase. The Chairperson remarked that she had told the NRCS before that she was not satisfied with South Africa automatically accepting European standards. Defects were found before when goods became operative in SA. It was not acceptable to wait for high mortality rates. It was time to say that certain areas could not be relied on, and SA had to do its own tests. Mr Macpherson complained that the NCC had not responded to a direct question he had put to them. The Chairperson responded that it was not because the NCC did not wish to do so. Mr Nemeth replied that he shared the sentiment that closure was needed about the death of Mr Jimmy. Ford met with the family on a number of occasions, and there was regular correspondence. During the meetings the topic of discussion was that the family wanted to have closure, and to grieve properly. Ford had an opportunity to look at the car with its experts, but was only granted access in December. Ford wanted to get to the bottom of the matter, and make information available to all parties. Mr Allan Young had developed a report, but it was inconclusive and preliminary. Preliminary reports were given to the family. Reports were stating that it was not an electrical engine fire. The engine was completely intact. The fire might have started inside the vehicle. Mr Maruatona added that Mr Young had taken pictures on 21 January 2016. He wanted to arrive at a finding. His report advised that the police had to be approached to make a physical inspection possible, but that could only take place in December 2016. He replied to Mr Mkongi that Ford had values that resonated with what Mr Mkongi was saying. A worker from Mamelodi could go and work in Thailand. The ethical viewpoint was to urgently arrive at the truth. There was no point in accepting liability just to make the problem go away. In the USA there would also have been insistence on a complete report. Mr Nemeth replied that all shared a responsibility towards SA vehicle owners. 10 million South Africans drove their cars to work every day without incident. During 2014 there were 154 000 vehicle fires in the USA. There were 128 in SA. There were 253 million cars on the road in the USA, and in SA there were 10 million. In the USA there were 6 fires for every 10 000 cars on the road. The SA rate was 2 fires for 10 000 cars. In the USA there were 6 fires per day for all models. If all manufacturers had to issue recalls because of fires, there would be weekly recalls. Ford would take a meticulous look at what its parameters for safety were. Another manufacturer had 151 fires by July 2016, and only started the recall in July 2017. Ford had values. The lives of all people were valued. His own family drove a Kuga 1.6 litre. He valued his family’s lives. The vehicle was not fitted with special modifications or safety items. He trusted the vehicle with the lives of his family. The Ford Kuga cars were safe cars. He replied to Mr America about the value of Kugas. There were a million customers who loved their Kugas. 80 percent of South Africans kept their Kugas after the recall. Value would be retained. The 359 owners who did not want to keep their Kugas, out of 4 550, were assisted to trade in their Kugas. Of the 1500 Kugas which went through safety checks, either the parts were fine or were replaced. The majority had parts replaced. Out of 1 500, 900 came back and 600 not. Ford would work with eNatis to get hold of vehicles not yet tested. There would be an outreach to the 370 people whose e-mails and phone numbers came back undelivered. In reply to the question of what Ford would do differently, he stated that he was proud of the Ford heritage in South Africa. Mr Maruatona had mentioned that workers were taken to Thailand. 250 hourly workers were sent overseas to bring back their knowledge to the Silverton plant. With regard to doing differently, Ford intended to walk better in customer’s shoes. Ford had failed to communicate adequately with customers to understand their point of view. Mr Mamadise replied that the NRCS collaborated in its technical work with fellows around the world. It participated in international forums, and in a working party where regulations were discussed. South Africa did not have the capacity to test certain components, and hence had to rely on accredited laboratory test results from all over the world. The role of SA in vehicle manufacturing was to put a car on the scene in terms of vehicle manufacture. Mr van Vreden replied that the awareness problem had to be addressed. On the call for owner manuals to be in all SA official languages, he pointed out that people had to be able to read English to obtain a driver’s licence. Most of the tests were in English. Likewise, the language of Parliament was English. It was not unfair to expect customers to read manuals in English. Ms Mabuza replied that the NCC took cognisance of issues in the media. There had been a time lapse following reports in the media. There had to be better social media tracking. The NCC had to read media reports to establish trends. The NCC guidelines were not compelling. It could not make people come to the NCC. The NCC did not have the data on combustion that some consumers had. There was a report from Ford that it was sending out people to make sure cars were brought back. The number had since changed to 700. Voluntary reporting had to be relied upon. Guidelines had to be improved, especially where safety standards were involved. Customers expected quality from the NCC. The NCC would try its best to inspire confidence in it as a regulator. The Chairperson concluded that there were three or four issues that emerged. There had to be a review of current regulations and guidelines. It had to be asked what could be tightened up in the legislation. Ford made a major contribution to the economy and employed many people. That was recognised. Still there had been a slipup that had to be taken seriously. The Committee did not want it to be repeated. Ford had to ask what lessons could be learnt from it, with regard to operating in the South African environment. Ford would have to adjust its policy and practice accordingly. Mr Mkongi had stated during oversight visits that there would have to be a review of NRCS compulsory standards. There would be heavy costs involved. Nevertheless, if there was a case to be made to the Committee, it had to be done. A motivation had never been put forward, to try to get the Committee to assist. It might be time that it was done. She told the Ombudsman that realities about the current generation had to be faced. She herself had to face it when she had to bring up a whole new family of grandchildren due to traumatic incidents. People were not readily reading books any more. Unless encouraged to do so, they resorted to social media. MIOSA would have to do things that were not necessary ten years before. People were using different modes of communication, and different social media platforms. Ford itself would have to recognise the need to keep abreast of social media. She commended the NCC for solid work done in the past. But guidelines had to be improved, so that action could be taken earlier. She admitted that the Portfolio Committee could have reviewed the legislation earlier. The hearing was held to restore the confidence of South Africans. Parliament cared, and would not cover things up but uncover them, for the sake of transparency. The Portfolio Committee itself had slipped up, and was not reticent about expressing that. Some countries were litigious, and she hoped that SA would never become so litigious that the customer would be ignored. South African customers were not to be ignored. The Committee would keep an eye on the situation. In the new term, when entities were invited, the Committee could call Ford Kuga owners to inform about their current experience. It would be learning from the horse’s mouth. All could learn something. Commitment to consumers had to be communicated to them. There could have been better communication, to extend consumer awareness to everyone, not just to regulators. Everyone who produced something, whether that be a service or an object a consumer had access to, had a responsibility in that regard. She wanted a report of the day’s meeting before recommendations were made, because she wanted the recommendations to be taken very seriously. The Chairperson noted that the report would be adopted with amendments on the following day. Contributions from the DA to recommendations and conclusions were considered. Recommendations included the need to enforce mechanisms of local procurement policy by all government departments. All three spheres of government had to be included. The DA wanted the Auditor-General South Africa (AGSA) to develop guidelines for the auditing of local procurement, and for that to be pushed as a resolution of Parliament. The DA objected to changes made to the programme without consulting the Committee. It was felt that the management committee (ManCo) ought not to be in a position to alter the Committee programme. The DA submitted that all future changes to the programme had to be brought to the Committee. The Chairperson countered that all Portfolio Committees worked with a ManCo, and that the Committee would continue working with it.